Monroe Carell Jr. Children’s Hospital at Vanderbilt will again benefit from proceeds from the upcoming 64th annual Piedmont Natural Gas Nashville Christmas Parade presented by Tootsie’s Orchid Lounge. 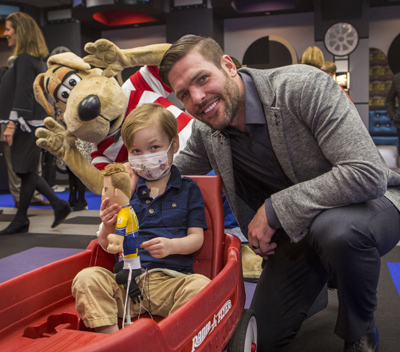 Retired Nashville Predators captain Mike Fisher will serve as grand marshal for the downtown parade, which kicks off at 8:30 a.m. Saturday, Dec. 2. The parade will be televised live by WKRN-TV Channel 2. The parade is being produced this year by Tennessee Holiday Productions. Executive producers are John Best, Pamela Bolling and Julie Stadler. To stay up to date on parade happenings and announcements, visit the Nashville Christmas Parade Facebook page at www.facebook.com/nashville-christmasparade.